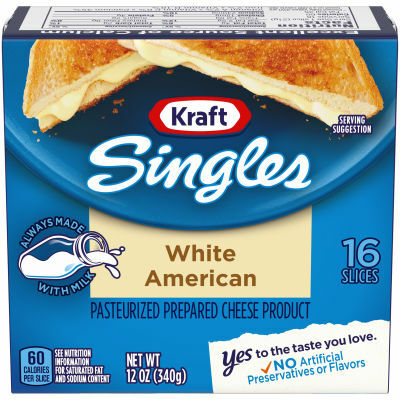 Only real milk is used to prepare these delicious Kraft Singles White American Cheese slices. Add zing to your sandwiches with these creamy cheese singles that are bursting with flavor. Made without the use of artificial preservatives, you and the whole family can enjoy these White American cheese slices and feel good about them, too.